Happy Birthday to the larger-than-life Mouse! That’s right, we’re celebrating Mickey Mouse 90th Birthday. Mickey Mouse made his debut, Nov. 18, 1928 in the animated short Steamboat Willie at the Colony Theater in New York City. Make sure to celebrate with Mickey in style, don those ears and watch as our favorite Mouse started his career! Mickey Mouse spoke his first words “Hot Dogs! Hot Dogs!” in the 1929 animated short Karnival Kid. With his iconic shorts, Mickey Mouse jumped out in color with his cameo appearance in a 1930 short about Flip the Frog titled Fiddlesticks. The first film officially attributed to be Mickey Mouse in full color, is The Band Concert (1935). Joined by Donald Duck and Goofy, Mickey tries desperately to give an amazing concert in the park despite constant distractions and set backs! We hope you enjoy a quick look back to our favorite Mouse! 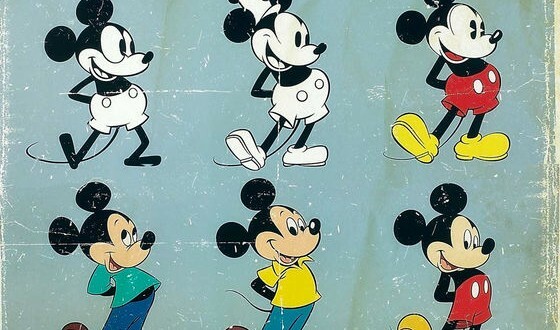 Let’s give a “Hip Hip Hooray” for Mickey Mouse 90th!